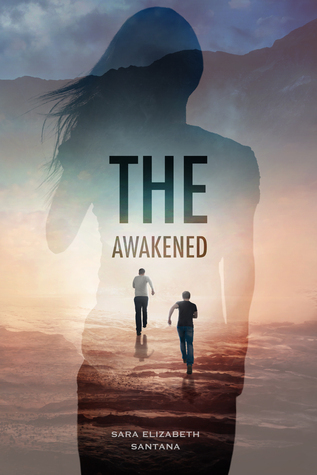 NOTE: I’ve already posted this review when I was apart of The Awakened Blog Tour but I wanted to post it again because the review is buried underneath so much blog tour stuff. This book was really great, in some sense, was really guessable in certain scenes but the way Santana writes makes it a really interesting read with a great cast of characters, each different in their own unique way. I enjoyed the doses of humour and heart within the novel and alongside Sara’s writing style which is easy to follow and compelling to read. She has the makings of a decent storyteller with this fast-paced debut novel. Anyone who actually read my reviews knows that no good book ever goes unscathed. What really dragged this down was mainly due to certain aspects I personally didn’t like. I think I’m the only person so far that didn’t like Ash? No offence, but he’s so irritating! Despite he does change in the end, and he ends up with Zoey. But, honestly, I didn’t find it cute that Ash was just terrible to Zoe since she was little. And Zoey knows it but yet she was still attracted to him? If I was being bullied by a boy and would in no way have some sort of attraction to him. Honestly, I would have ditched him the minute the apocalypse started. Despite Zoey telling him explicitly, she doesn’t want to be near him, he continues to flirt with her despite having a girlfriend and she’s already said no? And then when another survivor lowkey flirts with her, he gets annoyed? I just thought that behaviour was problematic and he should’ve backed off a bit. Also, what was going on with her dad? I honestly hate it when adults assume boys teasing girls means he likes her? Her dad wanted them to get together despite Zoey CONSTANTLY telling him he’s been bullying her at a young age and the way he puts Ash on a higher pedestal than his own daughter was extremely worrying. He does kind of admit it in the end and apologise, but overall, the only character I found myself rooting for was Zoe. The romance in this novel was a bit off to me. Ash and Zoey literally pick the worst moment to get all hot and steamy, especially towards the end.